Breast Augmentation is often termed as Breast Enlargement or Breast Implants. The name that best describes this procedure or technique for breast enlargement is “Breast Augmentation,” because in this technique, silicone, saline, or “gummy bear” implants are placed in the breasts to make them look larger. In some cases, real fat is transferred to the breasts, utilizing one’s own fat cells for the breast enlargement. Breast Augmentation in Bellevue is very popular. Dr. Craig Jonov is a leading cosmetic surgeon providing aesthetic procedures, who offers Breast Augmentation procedures starting at $4,995. Below is the complete guide for Breast Augmentation. It will tell whether you need breast augmentation, which can be performed in Bellevue or in a nearby city. This guide will aid you in understanding the procedure and the few choices that must be made prior to the surgery. There can be various reasons to consider about Breast Augmentation. You may want to look more appealing and attractive by having bigger or more proportional breasts. You may want to attain a figure where your clothes can look more beautiful on you. There can be some loss of size and stiffness in the breast when you are trying hard to lose weight. During pregnancy, perhaps your breast size has decreased, and now you have saggy breasts. Or perhaps you are seeking breast augmentation in Bellevue because each your breasts are two different sizes. Many women who have disproportionally sized breasts wish to correct this asymmetry, and as a result seek to be treated by a Breast Augmentation expert in Bellevue. Every unnatural treatment performed on your body comes with some cons. You will have to assess whether the positive outcomes of your procedure would be gratifying and exciting enough to overlook these cons. Here are top three pros and cons of Breast Augmentation commonly cited by patients, which might help you in making the best decision for yourself. Your body confidence and self image can improve once you see your own results! Saline implants are filled with the salt water. This filling is typically done after the surgery. These implants are best if your primary surgical goals include breast enlargement and the improvement of symmetry in both the breasts, because your surgeon can control the size of each individual breast by filling each with different amounts of saline. Silicone Gel Implants are currently the most popular implant option; women seeking Breast Augmentation in Bellevue often demand silicone gel implants. Due to their increased popularity, these implants now come in a variety of sizes and shapes. The reason behind the popularity is the natural softness of the breast that you is possible after implanting silicone gel implants. Cohesive Gel Silicone filled breast implants are commonly known as Gummy Bear implants among the women who want breast augmentation in Bellevue. If your objective is to have bigger, tighter and well in shaped breasts, with less concern about achieving a natural-feeling softness, then Cohesive Gel Silicone-Filled Breast implants will be your choice. In these implants, a particular kind of silicone gel is used as a filling. This gel is thicker than the typical silicone, which keeps its shape stable. These implants can be round or “teardrop” shaped to provide a more predictable shape result. Once you have decided which type of implants you may want to use for your breast enlargement, your surgeon will study your health profile and anatomy and then will consult with you to ensure the correct option is chosen, depending on your objectives for the procedure. Different surgeons may recommend a variety of implant types depending upon the condition of your breasts and medical health. Your doctor will assist you in choosing the best incision site, and will recommend ultra-effective scar treatment solutions after your surgery. 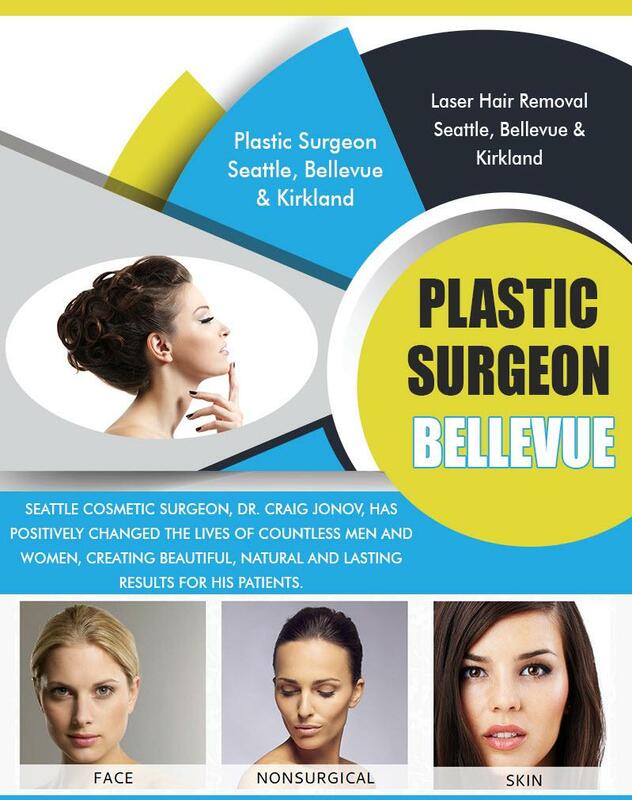 Now all you need to do is book your appointment with the best breast augmentation surgeon in Bellevue. It is your chance to have well shaped, more prominent and healthier looking breasts.